A giant star, recently identified as the most lithium-rich star ever known, has been added to the list of distinguished discoveries of a telescope in Xinglong, in north China's Hebei Province. 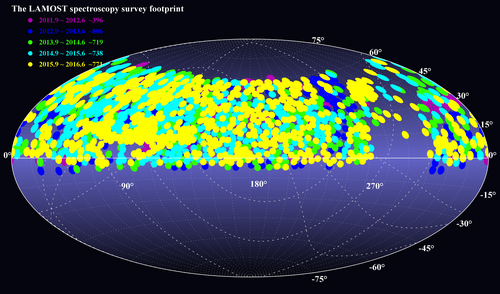 The Large Sky Area Multi-Object Fiber Spectroscopic Telescope (LAMOST) began regular surveys in 2012. 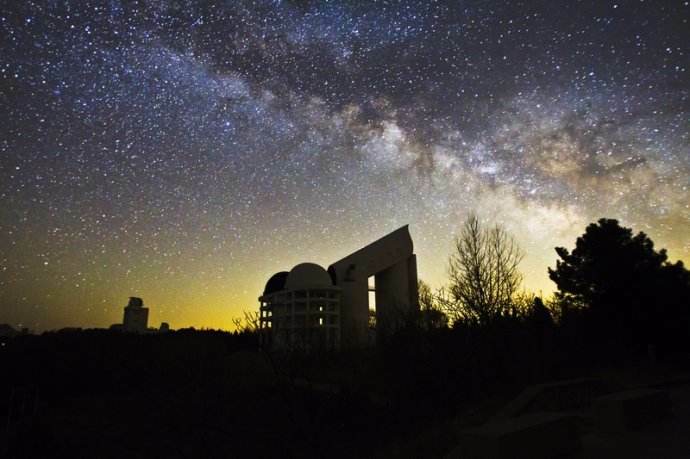 It has collected about 10 million spectra over six years and established the world's largest databank of stellar spectra. "The number of stellar spectra released by LAMOST is 1.8 times more than the total of other astronomic surveys," said Zhao Gang, a lead astronomer at the National Astronomical Observatories of China of the Chinese Academy of Sciences. Astronomers measured the magnetic activity index of about 6,000 sun-like stars, as well as the eccentricity and inclination angle of the orbits of about 700 exoplanets, and found that almost 80 percent of their orbits are near circular, similar to the orbits of planets in the solar system. This indicates the solar system is not special in the universe, giving scientists more confidence in the search for Earth-like exoplanets and extraterrestrial life. From the spectra collected by LAMOST, astronomers have discovered some unusual stars. For instance, five "hypervelocity stars" which travel fast enough to escape the gravitational grasp of the Milky Way have been found.